I took these pictures in and around Savannah, Georgia, in July 2014. The US government began construction of Fort Pulaski on Cockspur Island at the mouth of the Savannah River in 1829. 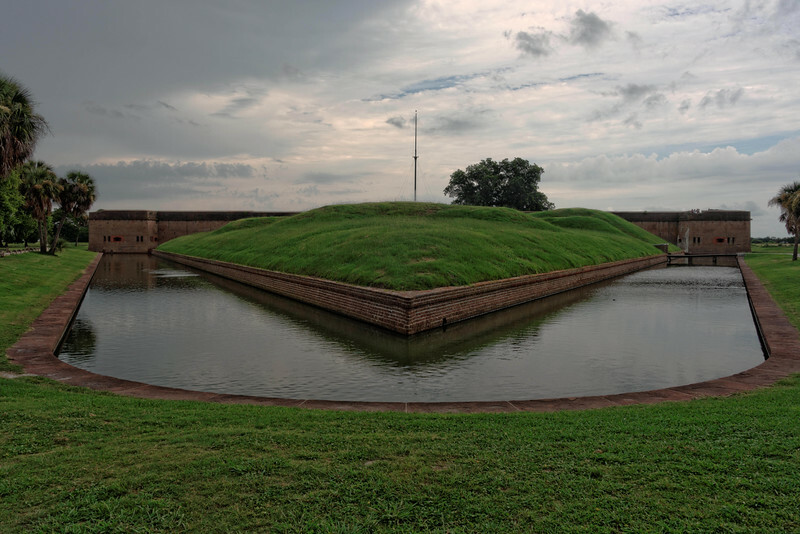 It took 18 years, until 1847, and 25 million bricks to complete the fort, which featured walls 7.5 feet thick and a surrounding moat and drawbridge. Robert E. Lee, whose first assignment as a second lieutenant, helped build the fort and thought it was impenetrable. The State of Georgia peacefully took over the fort just prior to secession in 1861. Union forces attacked the fort on April 10, 1862, and it fell in less than 30 hours. The designers had not anticipated the development of the rifled cannon, which had a range of 4-5 miles vs the half-mile range of the traditional smooth bore cannon. The gallery also has some pictures from downtown Savannah, Skidaway Island, and the Savannah Wildlife Preserve located nearby.